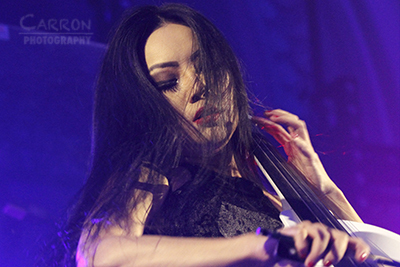 Tina Guo is a cellist, whose work can be heard across many scores of films and video games. Most recently, her electric cello can be heard on the main theme for Wonder Woman. Having recently toured with Hans Zimmer on his live shows, Tina is in the UK for a brief tour to support her new album, Game On! Tonight brings that tour to an end, as Tina and her band take the stage, at the Round Chapel in London.